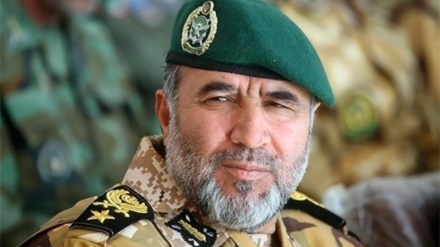 The commander of the Ground Forces of the Army of the Islamic Republic of Iran said that the military power and defense capabilities of the Ground Forces of the Army are at the highest possible level in all fields. 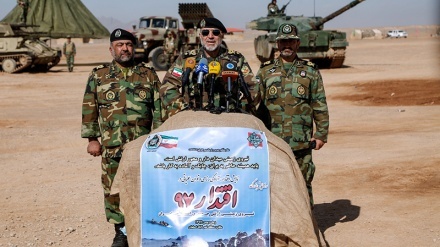 Iran Press/Iran news: Brigadier General Kiumars Heydari, made the remarks in a meeting with Army Corps of Officers and Soldiers in the Taibad border town of Khorasan Razavi province, adding that: "Iran's armed forces are constantly prepared to thwart the enemies' possible threats," Iran Press reported. Brig. 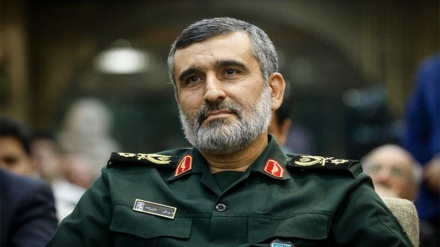 Gen. Heydari said that at the outset of the fifth decade of the Islamic Revolution, the Army's ground forces have reached complete self-sufficiency. He added: "The Army's ground forces, based on its power and authority, has established and maintained the security of the country's borders." Brig. Gen. Heidari argued that all Iranian military equipment was updated in line with the latest technology in the world. "If the enemies of the holy system of the Islamic Republic of Iran become crazy, the Iran Army's response will be firm and harsh," he continued. Brig. Gen. Heidari also said: "During the last months, the Army's ground forces have been stationed on the border of the Dogharoon border. In this framework, the soldiers of the Islamic Republic of Iran, at this point in Iran, are awake, vigilant and protect the country's soil and water."